Pick Me Up - a yearly Graphics Arts Festival that is hosted in Somerset House is one of our most favoured yearly exhibition in London. It is not only an event that showcases a lot of wonderful graphics artists - where the artists create work through a number of different mediums, from Photographs, Watercolour, Print, Sculptures etc. The 12 day Graphics Art Festival at the Embankment Galleries at Somerset House also hosts a number of interactive workshops. This year, for example there are book binding workshop from Hato Press, Screen printing from Peckham Print Studio, Cats and Pugs Bunting Making with Gemma Correll with Ohh Deer. Apart from interactive workshops, there is also a number of very interesting talks given from publishers and agencies that represents artists and illustrators. The link attached will allow you to download this year's Pick Me Up Schedule. We are very lucky (and super duper over the moon) to have our work both stocked at Rizzoli Bookshop at Somerset House, as well as this year's Pick Me Up Festival. We can't thank the team at Rizzoli Bookshop any much more especially to see our work nestled seamlessly amongst other artists. 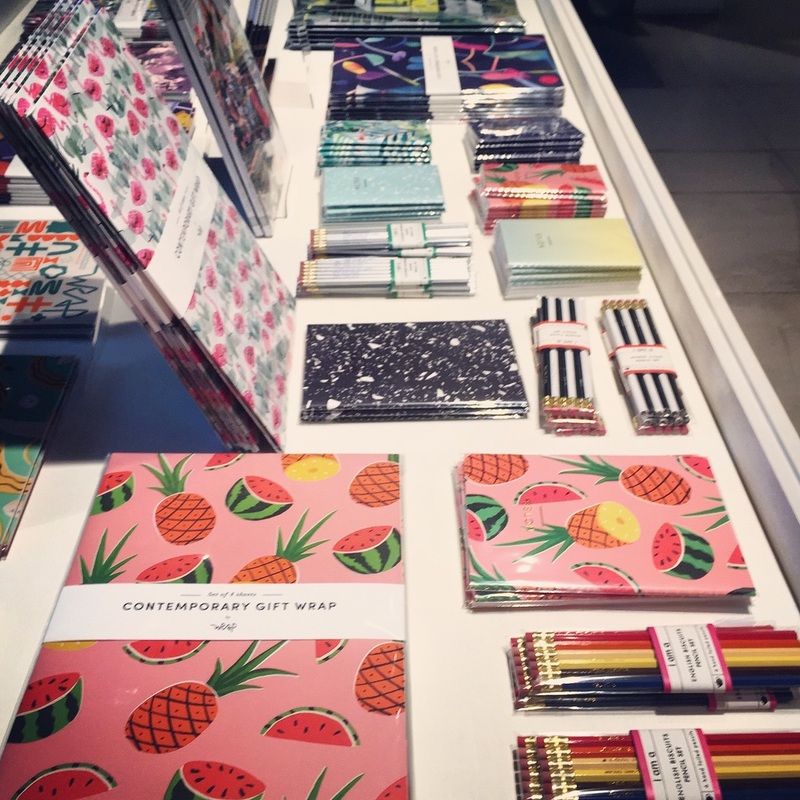 Our English Biscuit Pencils and Happy Thoughts Notebooks along with Magma Books and The School of Life. P.S. We suggest getting a Festival Pass for Pick Me Up so you can drop in any time during the 12 day event. Hurrah! We've Won A Design Award!